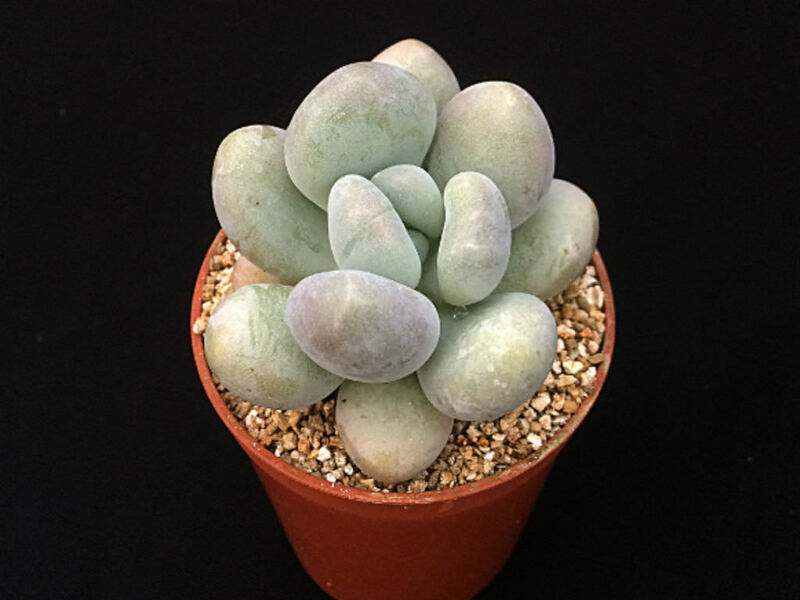 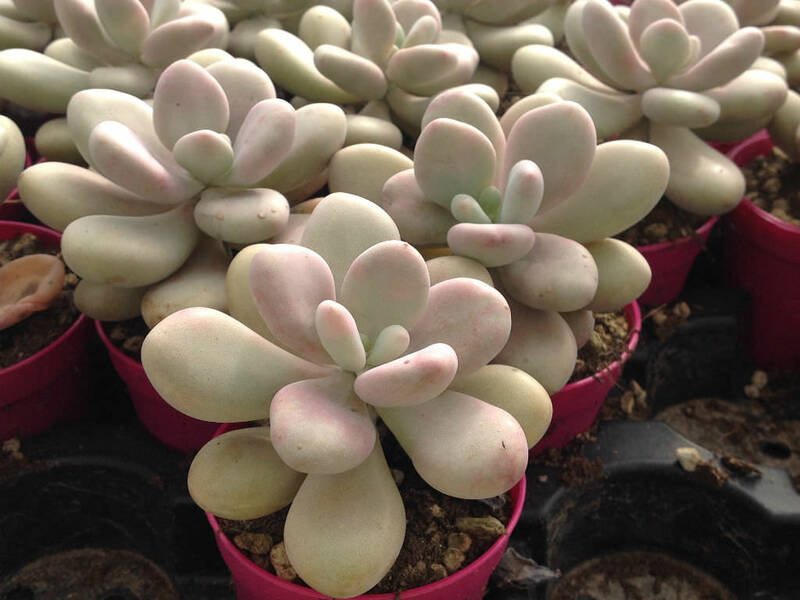 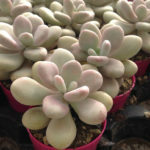 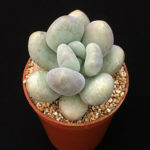 Pachyphytum bracteosum is a glaucous, succulent undershrub up to 12 inches (30 cm) tall, with plump, silvery-grey leaves tending to pink and producing very remarkable spikes of flowers. 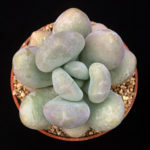 The leaves are obovate to club-shaped, up to 4.4 inches (11 cm) long, up to 2 inches wide and up to 5.6 inches (14 cm) thick. 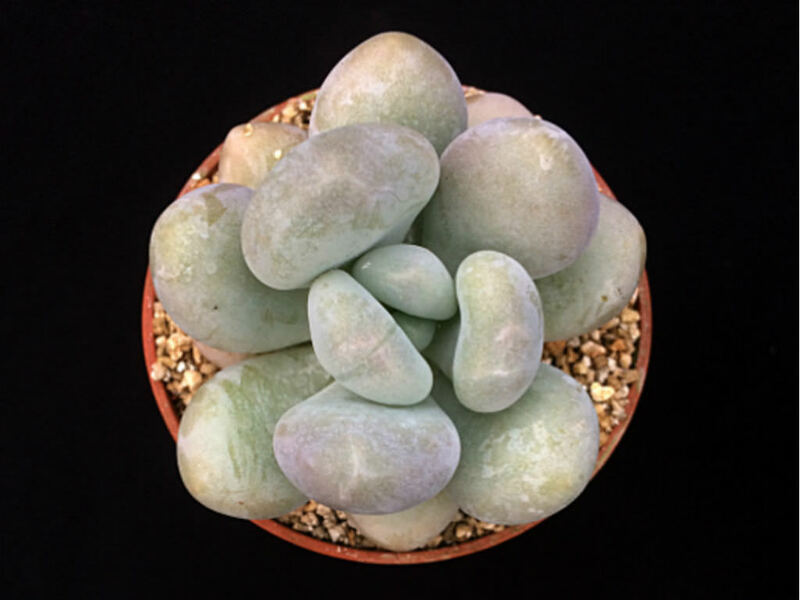 The inflorescence shows a most striking contrast between the red color of the petals and the pale glaucous hue of the large calyx and bracts and all the rest of the plant and the flowers. 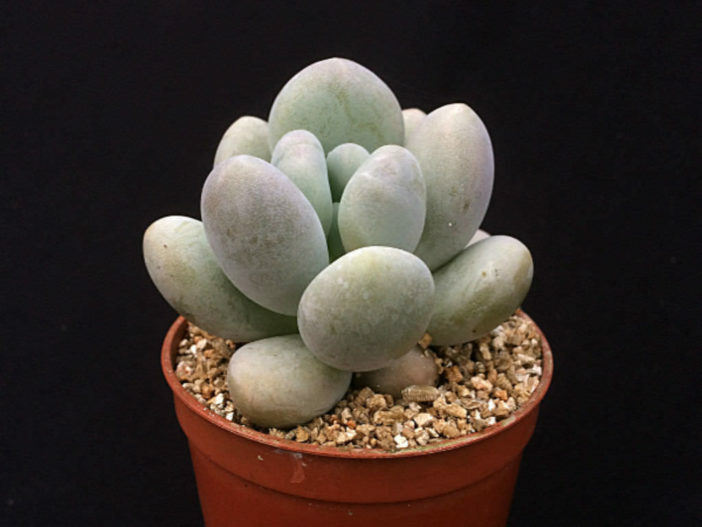 Pachyphytum bracteosum is native to Mexico.